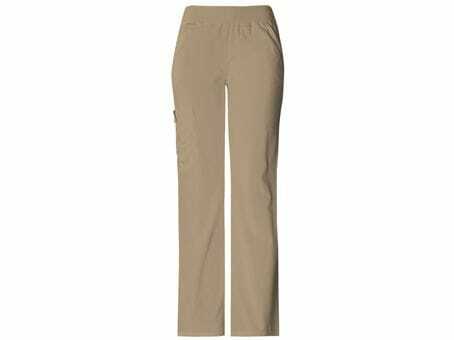 A straight leg cargo pant with two slash pockets and one cargo pockets features a tab closure detail for added security. All around elastic waist covered with matching soft knit for comfort. Regular Inseam: 31", Petite 28.5", Tall 34".